First I’ll tell you why a 78 page paperback book is worth your $$ even if there are no cues, teaching tips and tricks, and there are more pics than prose. This is not a how to do Pilates book, it is not a how to age gracefully book, I actually would’ve preferred the book to be bigger, hard cover or maybe spiral bound, so it could lay open. This is a coffee table book. The plethora of creatively taken photos on every page are stunning for starters, and deserve more space. This is a coffee table book. 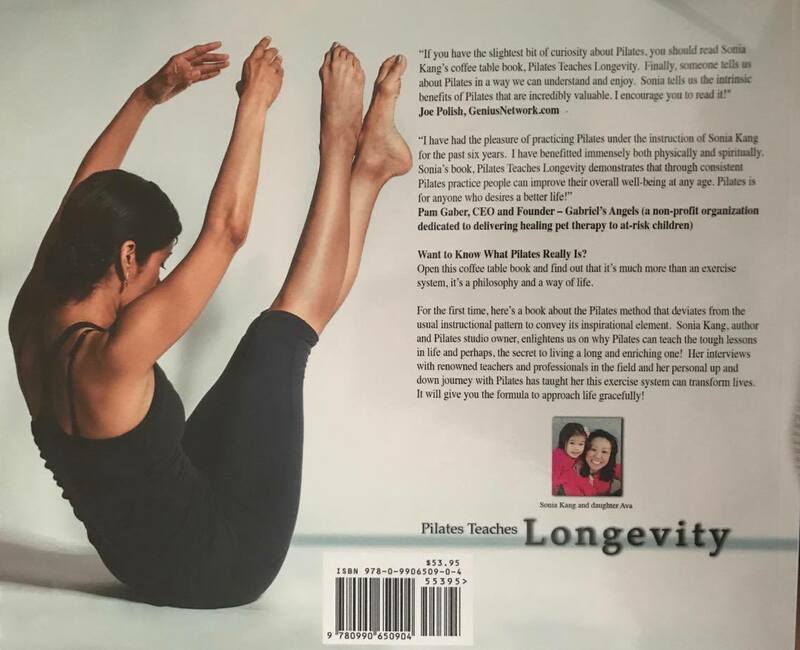 Even people who haven’t heard of Pilates let alone practice it would be captivated by the photos and the pearls of words that were cleverly captured from interviews with many of the major players in our industry. This book cares not at all if you are contemporary or classical in your training. I love it for that. What this book is about is living. This is full of experiences that are gained by living, by being brave, determined, and those things are different for everyone. The interviews provide insight that address many parts and pieces of aging, but mostly just living. I won’t quote any because with only 78 pages, it would be giving away too much. The perspective is really great, the introduction is about the author, Sonia and her efforts to bring something of value to the Pilates community and how she failed her way to success. Remember The Pilates Advocate, anyone? 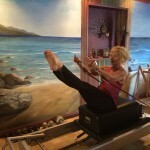 She also discusses how she found Pilates, left Pilates and like unrequited love, came back to Pilates …. 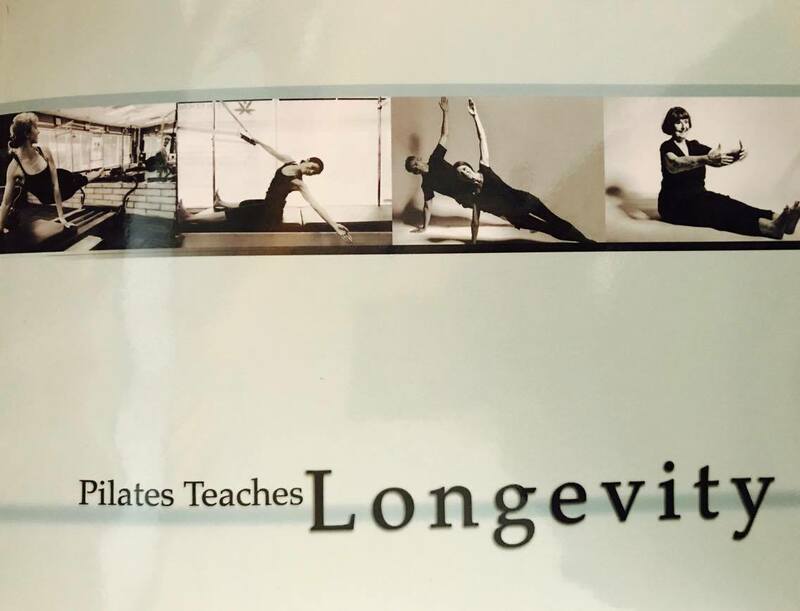 Chapter 1: Benefits For All, weaves you through some history of Pilates and tells about it’s genius and availability for most people including children, athletes, dancers, office workers, and the elderly or fragile. The excerpts of interviews tell the stories in a beautifully and imaginative way. Like the ebb of the ocean teases your toes as the tide comes in ever closer, but bit by bit. This isn’t about right or wrong or how to do this or that, but experiences people have and their thoughts about how they felt, as changes happen in the way they see themselves, an exercise, an ability, or struggle to gain an ability, or a ‘let this go, it’s ok to let it be how it is, or even respect that your body and it’s needs and abilities are changing and evolving, so being kind to oneself is paramount. It’s like the thoughts we think that usually stay in our heads are exposed. We all have a lot in common. We haven’t been older before, it’s new, adapting is new, understanding our clientele gets easier when we share the same boat. Chapter 2: Finding The Hook In Pilates, it’s about your inner Pilates nerd, (Thanks Karen Ellis, Pilates Nerd Extraordinaire) what got you hooked, and why do you stay? Chapter 3: Passion. Enough said, lol. Chapter 5: Flexibilty and Strength, It isn’t all about the body, it’s how you look at it and don’t use 10 lbs of muscle for a 1 lb exercise. It isn’t choreography, far from it. The mind is a muscle too, exercise it regularly. 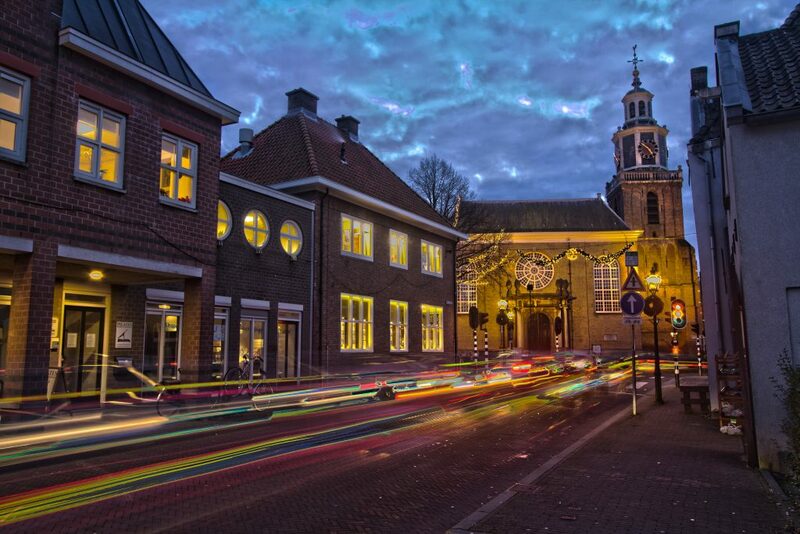 Equal opportunity employment and entrepreneurship opportunities. No glass ceiling here. Chapter 6: Movement, Emotional, mental, physical soundness, what does that mean? Keeping ALL your parts well oiled, here anatomical things are discussed, and how smart your body really is (very) if you let it. The inner journey. Chapter 7: Permission To Fail, If you learn from it, is it really a fail? Chapter 8: The Proliferation Of The Method, goes everywhere from dedicated teachers with years under their belt to the newly cropping up clubs, weekend certs, shortcuts to starting out, and Teacher Training systems that churn out new teachers who trusted them and now found out they have lots to learn if they want be a good teacher. Chapter 9: What We think Joseph Pilates Intended His Method To Be, The stuff that Pilates FB forums are filled with, and was it more about a method of exercise or a way of life???? Chapter 10: Attributes Of a Pilates Teacher, How do you speak, listen, cue, understand, patience, tenacity, ethics, judgements, etc…Be open, inspiring, motivated, team player. Chapter 11: Teachers Advice To Teachers, yep, there’s some real gems here. Biographies of the contributors is next, and then all the photo credits are given. This book is a TO BUY, The points of view are honest, relatable, and eyeopening as well as confirming. We are as similar as we are different, our common goal of helping people move better and be more comfortable in their skin, easing each other through what is all our inevitability, aging..with grace and power as well as we can, as we move through time.